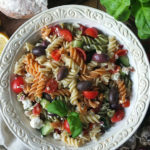 Vibrant, colourful, delicious and super easy to make this Greek-style pasta salad makes for a perfect packed lunch or side for a BBQ or potluck. This recipe is in collaboration with Viners Cutlery – because nice cutlery makes a big difference to the eating experience! This recipe was originally published in March 2013. It has been updated & republished in Feb 2019. I first discovered Greek pasta salad while I was living and working in Halifax, Nova Scotia in my early twenties. There was a delightful little cafe just down the street from where I worked and they served the most wonderful assortment of salads. This cafe was an ideal place to go for a quick lunch break, and I used to order their Greek pasta salad regularly. However, I used to ask them to remove the olives before they handed me my lunch. At that time I’d never even tried an olive, I thought they were hideously unattractive and I was not going to eat them! The staff always looked at me rather strangely when I asked them to remove the olives and I now understand why – good quality olives make this dish. It wasn’t until I ended up on a press trip to Sardinia (a car launch of all things!) in my mid-20s that I developed a passion for olives. 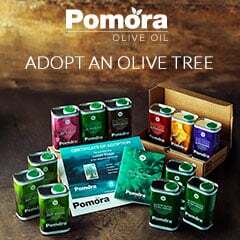 I am now a lover of all things olive, and much to my delight, so are my children. 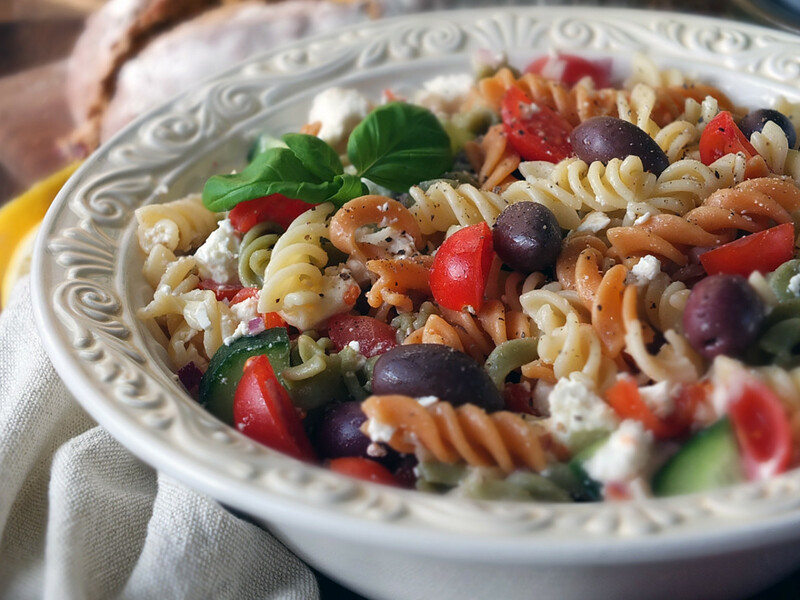 This Greek pasta salad recipe is one of our family favourites. It’s been made time and time again from a handwritten recipe that’s been in my notebook for a very long time. I have no idea where the original recipe came from, unfortunately, so I can’t credit the source. 300 grams dried pasta – I like tricolour fusilli, but trotolle makes for a nice chunky variation. 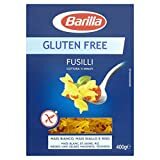 Make it gluten-free by experimenting with any of the gluten-free pasta options available nowadays. kalamata olives – pitted, or not – I prefer with the pits. feta cheese – look out for the PDO label to make sure it’s the real thing. Bring a large pan of salted water to the boil. Cook your pasta according to the packet instructions for about 10-12 minutes, until al dente. Drain and rinse the pasta under cold water to halt the cooking process. Add your tomatoes, cucumber, red onion and kalamata olives. Whisk together the olive oil, lemon juice, garlic and black pepper to make a dressing. Pour the dressing over the salad and gently mix to coat well. Sprinkle over the feta cheese. Gently combine. Chill until needed. 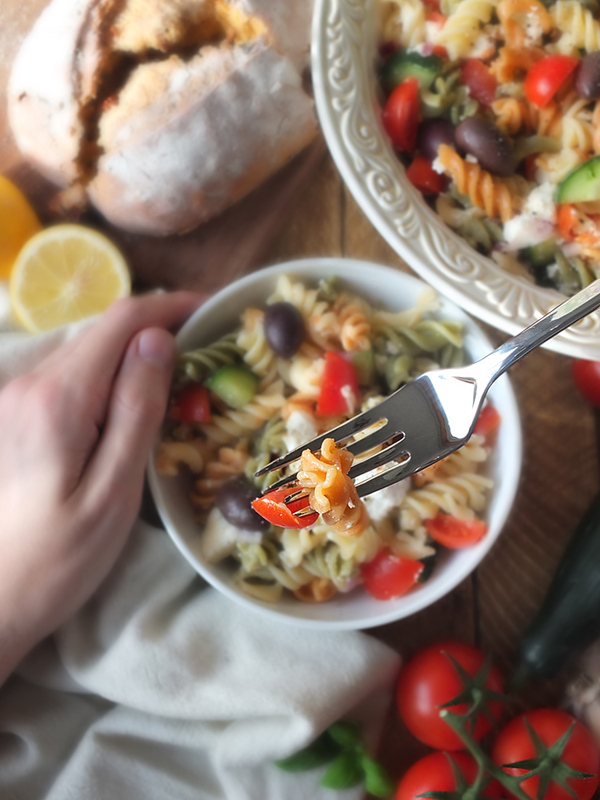 Greek pasta salad makes for a wicked packed lunch and if you are a fridge raider like me, it’s a perfect midnight snack with a generous grinding of black pepper over the top. In fact, just keep the pepper grinder next to you and add more pepper as you work your way through the dish. That’s how I eat mine, anyway. You can never have too much black pepper, in my humble opinion! A meal can be made even more extra special by eating it with good quality cutlery. 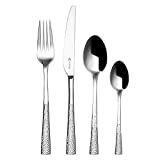 Viners have been making beautiful, stylish and durable stainless steel cutlery since 1908. With their origins in Sheffield, England, they have maintained a tradition combining the best materials and cutting edge technologies to produce elegant, robust, rust-resistant cutlery with an enduring finish. 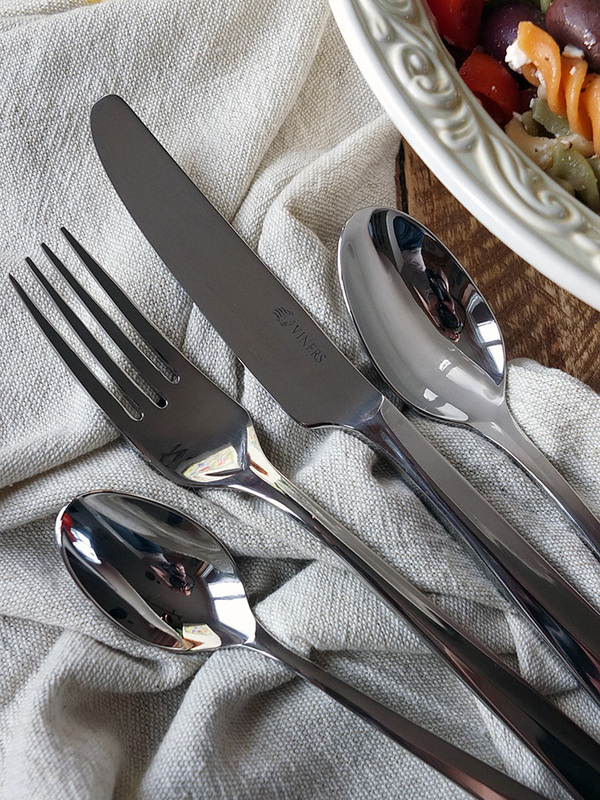 A timeless and endearing design delicately details the Mayfair handles, making a beautiful addition to the Viners cutlery range, and a perfect fit for home dining. 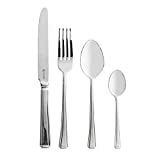 This cutlery is created with perfect weight and balance that feels comfortable in your hand; it’s got a good heavy weight to it, but not too heavy – just perfect, I think. 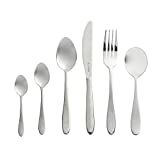 This 24 piece set contains six of each table knives, table forks, dessert spoons and teaspoons and retails for Â£78. It also comes with a 50-year guarantee and they are dishwasher safe. 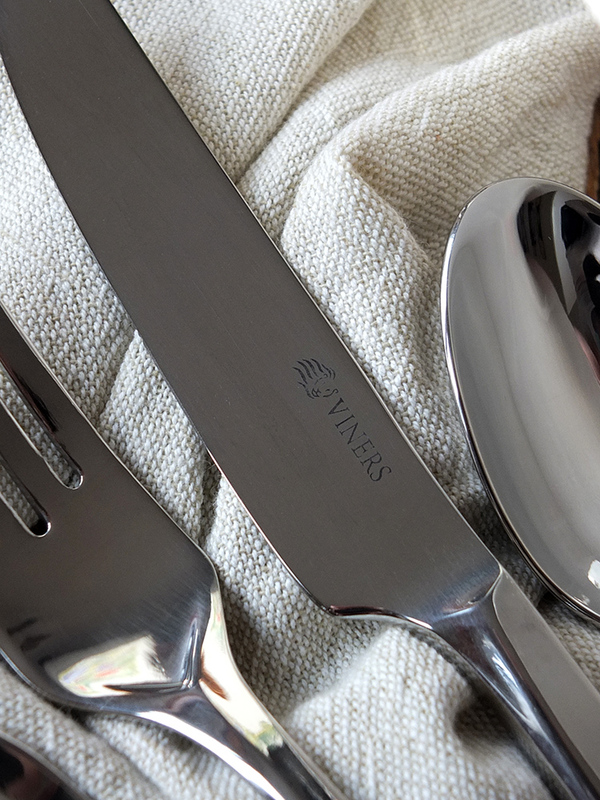 How about visiting the Viners website to browse their gorgeous cutlery collections? 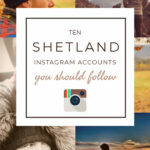 Also, follow them on Twitter to keep up with their news. 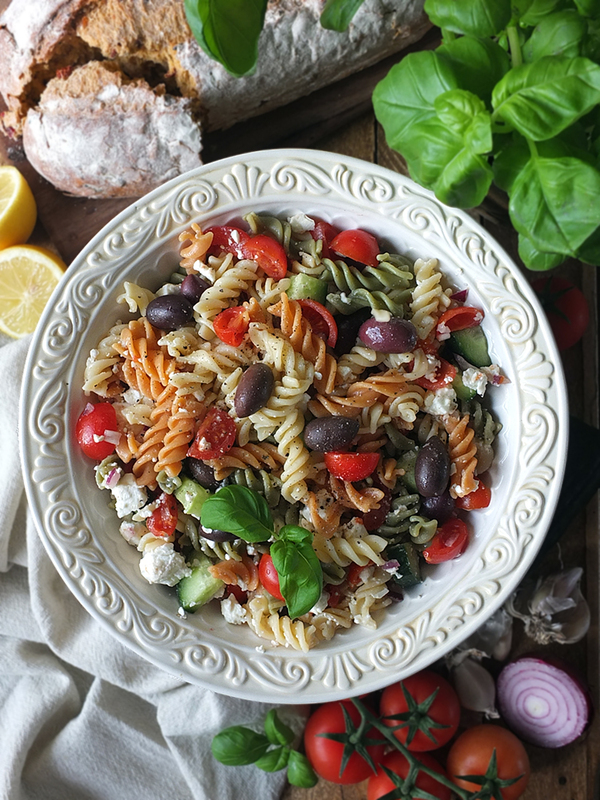 Vibrant, colourful, delicious and super easy to make this Greek-style pasta salad makes for a perfect packed lunch or a side for a BBQ. Bring a large pan of salted water to the boil and cook the pasta according to packet instructions until al dente (around 10-12 minutes). Drain the pasta in a colander and rinse well under cold water to halt the cooking process. Place the cooled pasta in a large bowl and add the quartered cherry tomatoes, cucumber, diced red onion and olives. In a separate small bowl, mix together the olive oil, lemon juice and garlic. Season well with freshly ground black pepper. Pour the dressing over the pasta and the vegetables, stirring to coat. Sprinkle over the feta cheese and gently combine. Season with more freshly ground black pepper, if desired, and chill until needed. GLUTEN FREE OPTION - Make this recipe gluten-free by using gluten-free pasta. 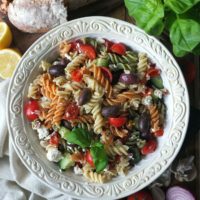 This Greek Pasta Salad will keep up to three days, covered, in the fridge, so it makes for a great packed lunch option. 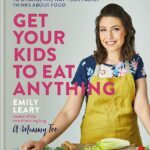 A few lovely lunch recipes from other food bloggers! This is not a paid post, although Elizabeth’s Kitchen Diary has been gifted items from Viners as compensation. All thoughts and opinions expressed are our own. Amazon links are affiliate links and we earn from qualifying purchases. This delicious Greek salad is superb, it will delight my family & friends. Perfect to enjoy during the warmer weather that lies ahead. The salad is easy and looks gorgeous on the plate! It tastes amazing. This sounds like a great pasta salad recipe that’s a bit different from the one I usually make. I’m always looking for new recipes, this sounds just perfect for a tasty lunch, it looks delicious too. I think this salad is delicious, and perfect to delight the whole family. Your salad looks amazing. I love pasta so much so I am definitely going to try this recipe out myself. Lovely recipe and quite simple too. Nice to be able to use in the summer or a quick meal after a busy day. We love Pasta so any new recipes are always great! I love this recipe because it’s so simple to make but all the flavours go so well together and reminds me of summer holidays. A lovely fresh salad, so easy to put together as I would normally have all the ingredients. 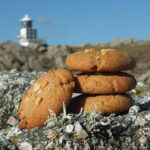 The recipe looks wonderful, easy to make (even for me!) Tasty too and it may keep me full for a while! I’m Saving this for later, I’ve been looking for healthy, easy pasta recipes and it sounds so tasty. 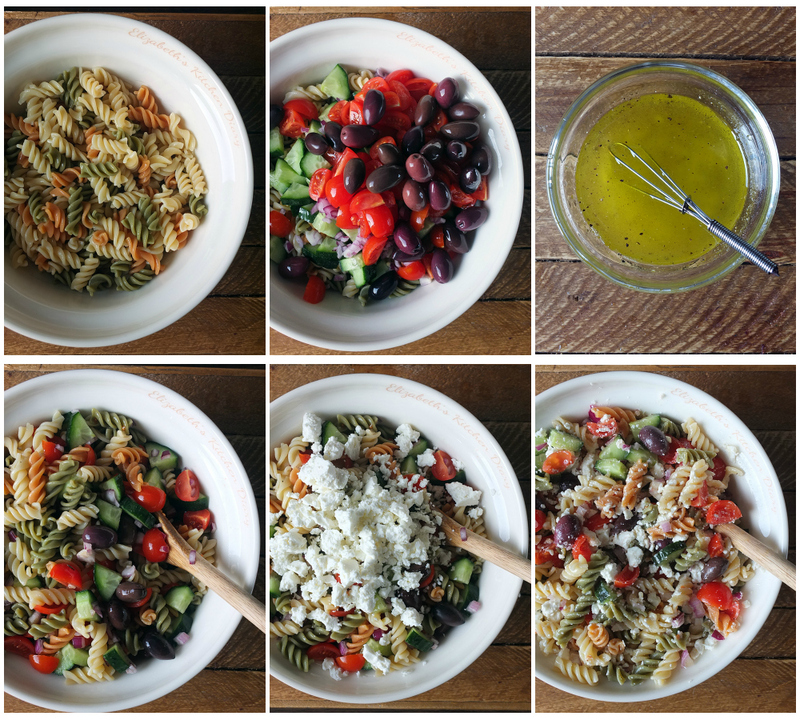 Your Greek Pasta Salad looks amazing! 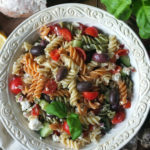 I’ve never eaten a Greek Pasta Salad before, but after reading your recipe I will definitely try it. Honestly, I would prefer to leave out the olives and the feta cheese because I don’t really like it, but I’m curious to know how it tastes. I really like the recipe because you don’t need that much ingredients and it seems pretty easy to make. This recipe will be interesting when I’m going to college in 2 years. I can’t cook very well and I may not have time to make a three course menu. 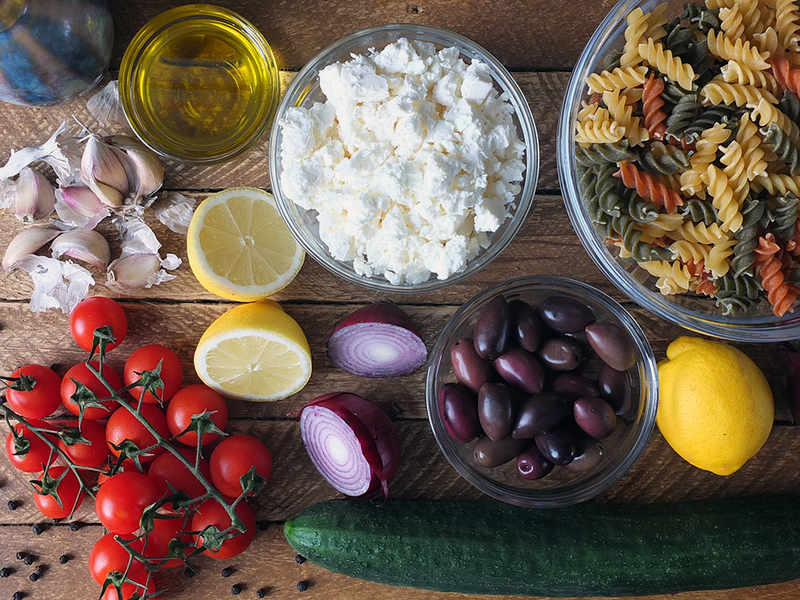 So this Greek Pasta Salad will be quick, easy and also very healthy! I think it’s nice to vary the ingredients from time to time, for example by replacing the olives for lettuce or something else. 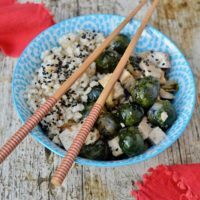 Thank you for sharing this recipe, I will try and let you know if I liked it! Looks tasty, I love Greek food & it’s surprisingly easy to get fussy young ones to eat. Very tempting, I think this would work well as a main dish or as an accompaniment. I think this recipe looks great. Fresh and easy to follow. Great for leftovers as well if say. Sadly my OH won’t eat pasta and try as i might I just don’t like olives, so i think i will be giving this one a miss. The simple words “Greek salad” are enough to take me back to Skiathos! Sunshine, Greek hospitality, beaches, wonderful scenery and the fabulous sea, next to which in the harbour was a delicious little cafe bistro that makes salads exactly as yôu have shown us here. Amazing!! It looks delicious … and so healthy! A very tasty and nutritious salad. Great Salad but mostly I love that it is so colourful! I just love Greek salad! This looks like a delicious pasta salad. I’m a big fan of olives, and also love red onion. This seems like a very versatile dish. It would make a great lunch on its own, a side dish with any number of main courses, or it would work brilliantly on a buffet or picnic! This sounds delicious – just my sort of food! I’ve rated it 5 out of 5! 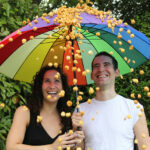 We tried this on Saturday night with a home-made Moussaka – it was really tasty 10/10! This salad recipe looks delicious! Perfect for summer alongside a BBQ or as a standalone dinner. I can also imagine this being a wonderful taste of sunshine in the winter months. Yum! I love it! I can’t wait to get going and make it myself. your recipe does look great but I have to eat gluten free and unfortunately I haven’t yet found a gluten free pasta that doesn’t harden up as it cools. I’m not a big fan of salads but I love pasta and that’s the main reason why I want to try this recipe. It looks appetizing after all Thanks for sharing this. .
Love pasta salads – they are especially quick and tasty to make. Thanks for the chance to win this giveaway. This looks delicious. I think I may try this but without the cheese or a vegan alternative. Greek salads are so delicious especially in the summer months. This is my kind of salad. I would have it as a main meal for my lunch but it would also be fab with some grilled meat at a summer barbeque! Delicious. Fabulous! Just the sort of lunch that’s perfect for those hot summer days & any leftovers boxed up for a refreshing work lunch. Love the recipe. Given 5 stars just from the way my mouth watered as I read the ingredients but I’ll certainly be giving this a try. I have been looking for pasta recipes, this sounds so delicious and can’t wait to try it. I forgot to rate the recipe! I think this recipe looks great and I will definitely be making it! Not the biggest fan of olives but the dish looks appealing, very fresh. Like the colours too. This is a great dish. I like that it can be prepared ahead and used for lunches, parties and as a side too. Not only that but I usually always have all the ingredients in the house. This dish looks yummy, I don’t normally like olives but I might give this recipe a try, it looks so tasty. Looks very appealing and colourful! The dressing sounds good, I can almost smell the lemon juice through the screen. Not an olive fan, so I would leave them out in a separate dish for others to add as they like. Yuck, olives! Am I strange? I love pasta dishes so this one really appeals to me.I definately would like to try it as it looks great. I think the salad sounds lovely and is very colourful! 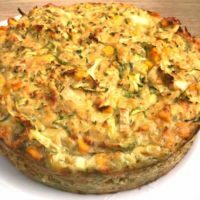 I think ths sounds lovely and would be ideal for work – I could make it on a Sunday and pop some in a pot each day for my lunch, perhaps adding some salmon or cold sliced chicken to ring the changes. I don’t normally mix olives and pasta but it looks delicious and substantial. The salad looks lovely but I wouldn’t use pasta because I don’t like cold pasta, sorry! It looks delicious – I’m looking froward to trying it. This looks very appetising. I always shy away from olives but have only ever tried them once many years ago. My tastebuds have developed since then so think I’m going to give the humble olive another chance when I try this recipe. Looks really good, and with the weather warming up it would go down well. Looks amazing & very healthy too! Definitely a winner for me !! It looks amazing and delicious, so different from other pasta salads as they look bland and not very appertizing at all. Will most certainly give this ago! Just to let you know, on your rafflecopter widget, the link to your giveaways page is not clickable. 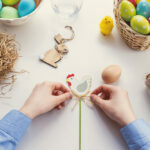 You might get more visits if you changed it to a clickable link. Hope this helps. Thanks for letting me know! 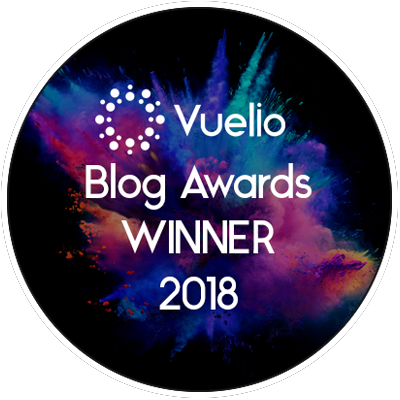 All fixed now – and that error has been on my last three giveaways – oops! I would make it gluten free, it’s my kind of salad, fresh and simple! This recipe sounds lovely i’m a huge fan of olives but sadly nobody else in my family is a fan of them! This isn’t perfect for a summer barbecue, I always make a potato salad and never know what else to make and now I am bookmarking this page! Sounds delicious, will definitely be giving this one a go! 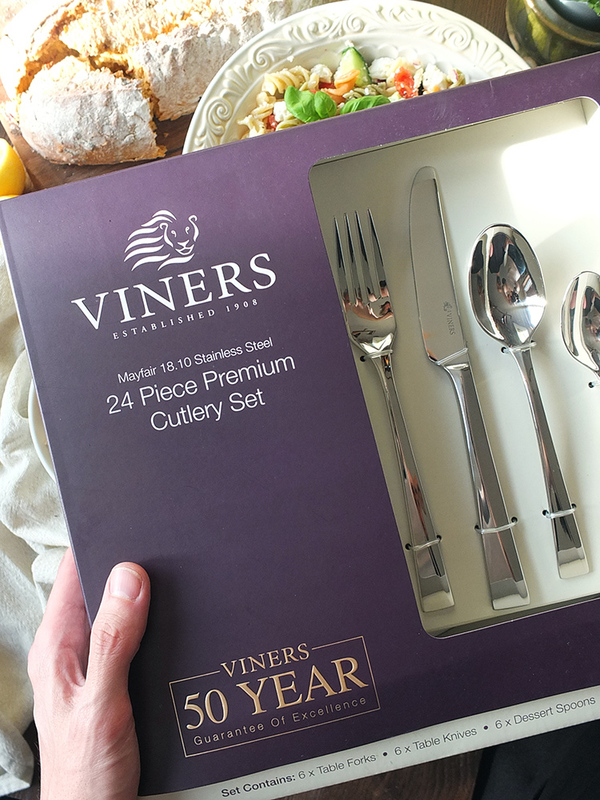 I love viners cutlery, so stylish! This salad recipe sounds delicious. This recipe sounds great, it would be lovely on a summer’s day in the garden with friends round. I love pasta salad and make it frequently. This recipe sounds fresh and delicious and I am going to try it. Thanks. I love the recipe because it’s so easy to make and so healthy. But really Elizabeth, how did you get from someone who refused to try olives to such a creative food blogger? Should be refreshing in the summer. Olives, feta and tomatoes – what could be better? Looks delicious but I don’t know how to get the kids to like olives.